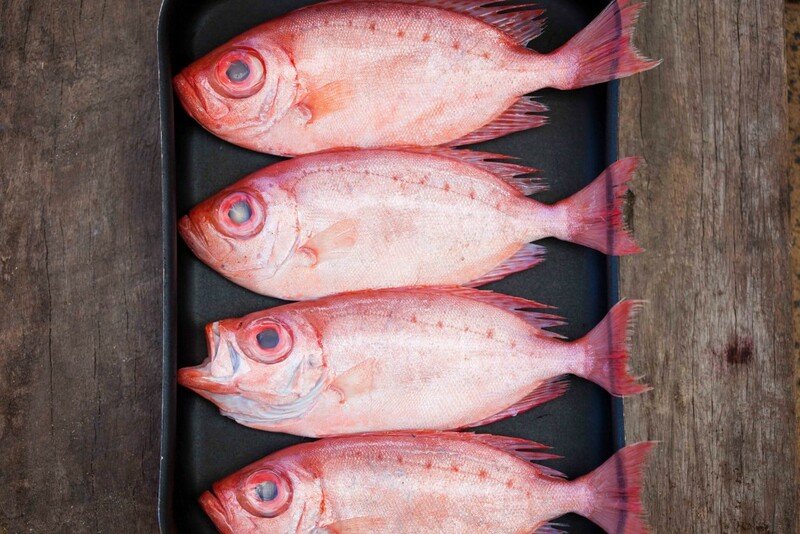 Snapper is a fish low in fat with a firm texture. I would always have it fried or steamed in Singapore. But, when Uncle Frank came home with these super fresh red snappers on our second day in Perth, and being a Chinese family, these were probably the few ways that my uncle wants it cooked. I wanted to do something different and I thought to myself why not have it roasted. No potatoes but found a couple of sweet potatoes (kumara) and decided to pop it into the oven. 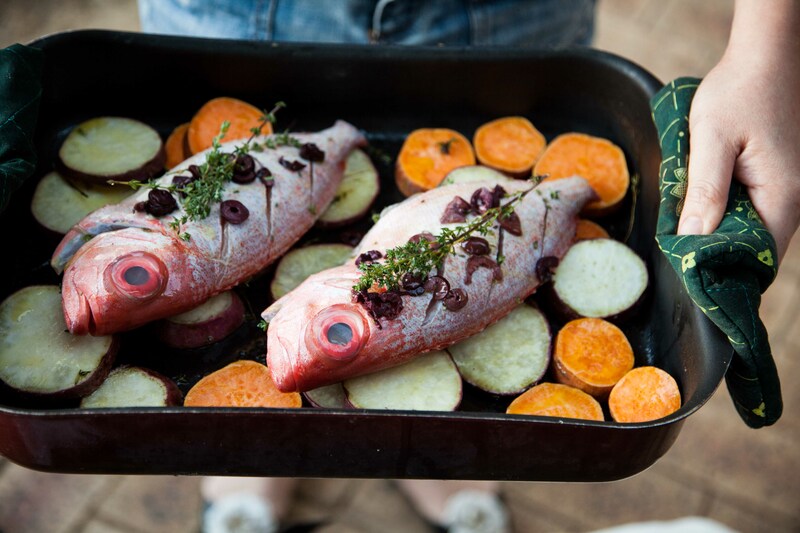 This is pretty easy and fuss-free and can be used with any filleted fish if you wish. Preheat the oven to 200C for 30 minutes. Slice the kumara into 2 cm thickness. Add a pinch of salt, 10 ml of olive oil, freshly ground black pepper and a little of the fresh thyme leaves. 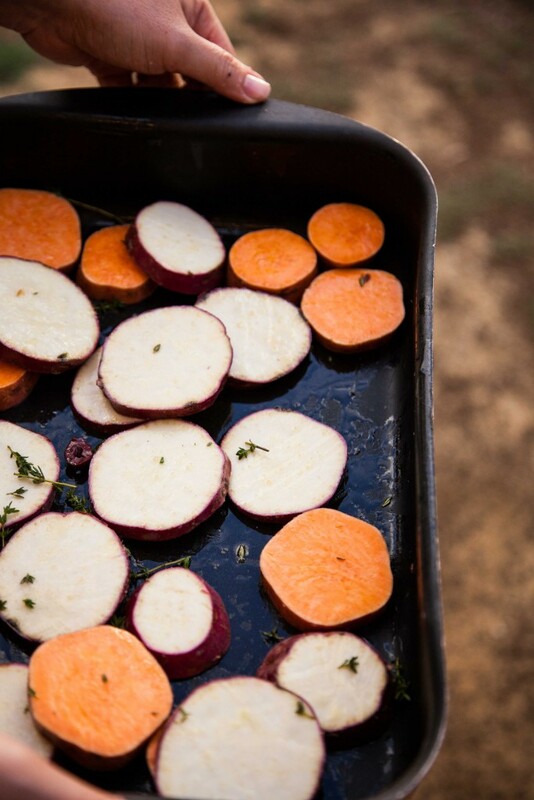 In a roasting pan, drizzle a little olive oil to coat the bottom of the pan. Lay the kumara slices onto the pan. Place in the oven and bake for 10 minutes. 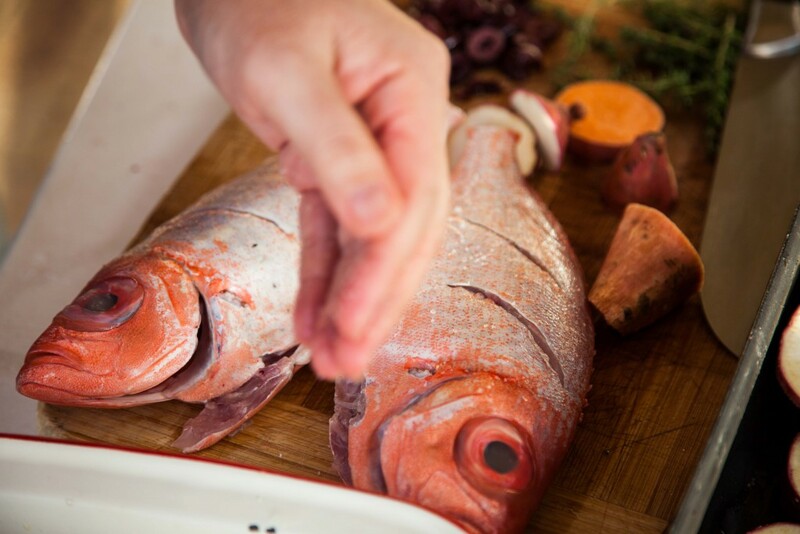 Add 7g ( about 1.5 tsp) of salt each to the snapper and rub it into the flesh on both sides. Add freshly ground black pepper. Add a drizzle of olive oil (10 ml) to the snappers. Add some of the kalamata olives, capers and thyme sprigs into the cavity of the fish and rub it in. 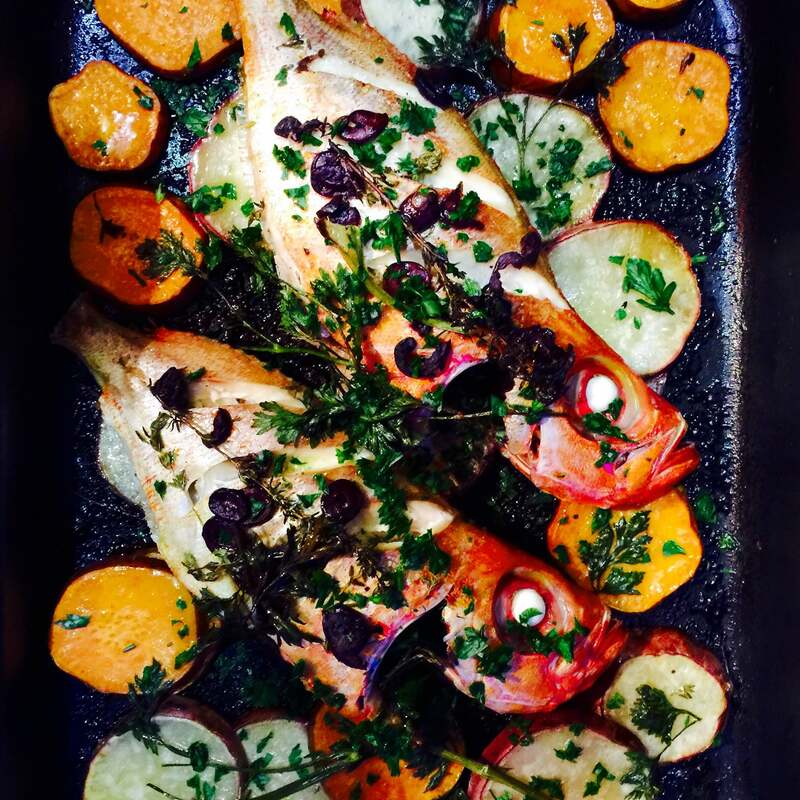 After 10 minutes in the oven, remove the tray of kumara, flip them over and place the snappers atop the kumara. Scatter the rest of the thyme sprigs, kalamata olives and capers onto the snappers. Drizzle the remainder of the olive oil (30ml) all over the dish. Pop the dish into the oven and bake for 20 minutes. 8 Add the white wine to the dish in the oven. Please be careful as the tray is very hot and adding the white wine will cause some sizzling. Cook for a further 10 minutes and check that the fish is cooked through. To serve, add freshly chopped parsley and a drizzle of olive oil. Squeeze a little lemon juice over before serving. Tip: Sizes of fish may vary. I usually would always add 1tsp (5g) salt per kg of fish. Feel free to substitute the fish to whatever is available or your preference. You can use potatoes to substitute the kumara. Onions and garlic can be added too if you fancy.